Iconoclastic American director Samuel Fuller’s first production for a major studio was this tense, snowbound Korean War drama. A small platoon of army grunts are ordered to stay behind to protect a 15,000-man division as it moves out under heavy enemy fire. One corporal, whom the platoon has mistakenly come to believe is a hero, is left with the responsibility of protecting the men – a decision that may cost them dearly amidst escalating and unpredictable circumstances. 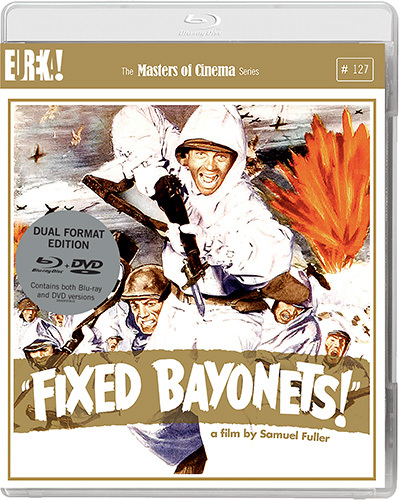 One of Hollywood’s most impassioned and unvarnished war films, bursting with first-hand detail from Fuller’s own experiences of soldier life in World War Two, and rendered unforgettably with his inimitably vivid filmmaking style, Fixed Bayonets! features Richard Basehart (La Strada), Fuller regular Gene Evans (Park Row, Shock Corridor) and an early appearance by James Dean. 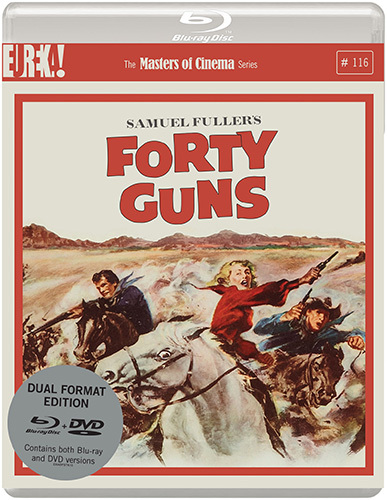 The Masters of Cinema Series is proud to present the film in a new Dual-Format special edition.